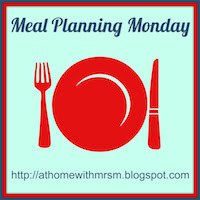 So it's March already and another #mealplanningmonday has rolled around. As always a quick round up of last week before we move on to the plan for this. My planned Stovies led to lots of comments last week from those who had to Google to see what they were and those who hadn't made them in many years. I hope I've inspired their appearance on some meal plans this week. The Pizzata (pizza/fritata hybrid) was very filling and a leftover slice served cold made a great breakfast. Can't believe I'd left it so long since I last made Spinach, Mushroom and Potato pie. Just as good as I remembered. The Hairy Bikers Butternut Squash Ravioli finally got made and was amazing, including special love heart ones made for me by girl. Sunday dinner saw me getting in nice and early with my entry for this month's Dish of the Month with a Nigel Slater recipe of Pork Belly and Beans. It was an absolutely fantastic dish. Full of flavour and plenty of cracking which I absolutely love. The smell as it cooked was amazing. Nigel liked my version too. "@realnigelslater @foodiequine Proper winter dinner. I sometimes crush some of the beans and leave the rest whole. Just for a change." This week I've taken my inspiration from browsing through all of last weeks #mealplanningmonday posts. 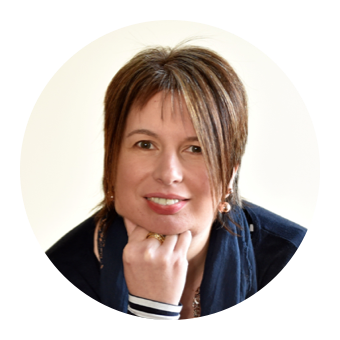 Thanks to all the bloggers who have influenced me. This seems to crop up a lot in various blogger meal plans. Breakfast for Dinner. I'm hoping they don't mean cornflakes. We'll be having sausages, bacon, eggs, black pudding, mushrooms, toast - the full monty! Sunday - Mothers Day and I have absolutely no intention of cooking anything. Enjoy you week whatever is on your menu. 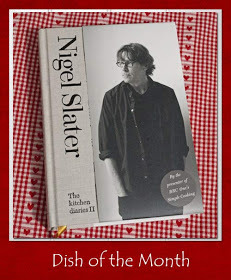 Head on over to At Home with Mrs M to seek out some meal planning inspiration for yourself or to Farmersgirl Kitchen to check out more dishes from the lovely Mr Slater for March's Dish of the Month. That surely is a winter warmer, I'm not a crackling fan but can see that it would be great if you are. Oh what totally delicious photo's. The spinach and Mushroom potato pie and Pizzato are really make me drool. Having said the my mouth is now watering (and it really is! )at that crackling, oh yum. Wow, I want to eat everything on that meal plan...and that belly pork and beans looks absolutely divine!! Enjoy your week. Cornflakes for brinner would leave me with a very disappointed face. Your version sounds much better. Now I know what to make with that impulse-buy piece of pork belly in the freezer. I love the idea of using other meal plans as inspiration for a whole week's menus! Great pics!! The Pizzata looks lovely!! The Chicken in Ginger and Lime sounds delicious!! These all look delicious and I'ld love to try the Pizzata! Thanks for visiting and I hope you liked the Chicken..